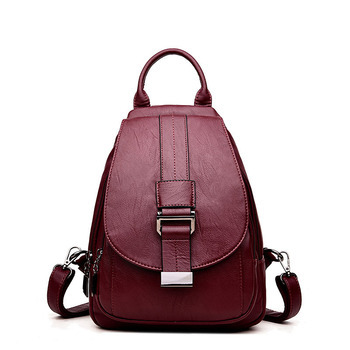 Handmade from genuine cow leather this Women’s Leather Travel Backpack is perfect for the outdoors, school or traveling as the name suggests. It has a tassel decoration on the outer flap along with a patchwork design on the outer lining of the bag which gives it the vintage look. A drawstring allows safe closure of the bag and opens up to an interior zipped pocket as well as a cell phone pocket lined with polyester. The softback shoulder straps allow the carrier to take up to 35 liters in weight comfortably. 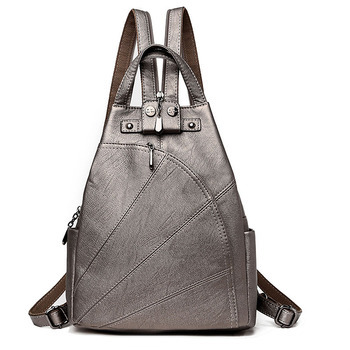 This piece comes in bronze, brown and also multicolored which adds to the authentic leather design. Due to the difference in the measurement methods, Please allow up to 1/2″ (1-2 cm) in the size deviation. Very nice quality, well made, a truly handmade bag with the vintage charm of a long time ago.